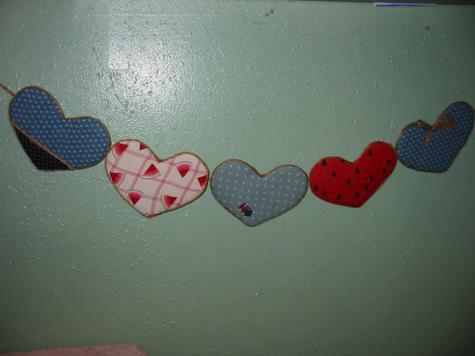 This beautifully handcrafted 5-Heart Wall Hanging will make you fall in love all over again. Made with various country blue and watermelon fabric. This stretches approx. 45in wide and will make a wonderful addition to any 'country' home.